How You Can Keep Man's Best Friend As Healthy As Possible, So He Stays Man's Best Friend. Pets are very similar to us, in the respect that they have their own share of allergies, likes and dislikes, and sensitivities to specific foods. Your dog's age can tell you instantly what to feed them and how much. One thing to keep in mind is what your vet recommends. Your vet is going to have a list of "vet recommended dog food" that you should take under advisement. There is only so much your vet can do though. You need to be able to handle the question of "what should I feed my dog?" on your own. I have a list of seven tips that can help you make the best choices when it comes to picking out healthy and affordable dog food. 1.Try to keep the well-balanced food: In other words, do not pick out a product that has the fat listed in the first four ingredients. You should also ask your vet what he or she recommends. Healthy food for dog should have more vitamins and nutrients than fats and sugars. You can also try these top 10 best cheap & affordable dog food brands in the market which is nutritious as well as healthy for your dog. 2. Watch what your pet is eating: That way you know what food causes irritation or hurts their stomachs. You can also see where some of the allergies lie. Pets know what they like and dislike. Stop buying a specific brand of dog food once you see that they are not eating it anymore. Some dogs are very fussy. They are telling you that they dislike it. 3. You should always measure your dog's food: It does not matter whether they are still a puppy or full grown. You want to make sure you are not over feeding them. Pets get used to the idea of being overfed. Sometimes your pet can use it as an excuse to compensate for something else that is lacking in their lives. Some dogs are emotional eaters. It is important to recognize this trait early. That way you can monitor their food intake more closely. 4. Talk to the vet about proper eating habits: Your pet should neither be over or underweight. Part of your plan for Healthy food for dog should include maintaining a proper weight. 5. You should prepare the same dog food for your pet every day: Changing things up constantly might cause an irritation. There might come a day when you decide to change the menu around. Change things gradually. Place a little bit into their bowl and see what happens. You are going to know whether or not they like it. They will tell you right away when something is wrong. That way you know not to buy that brand anymore. 6. 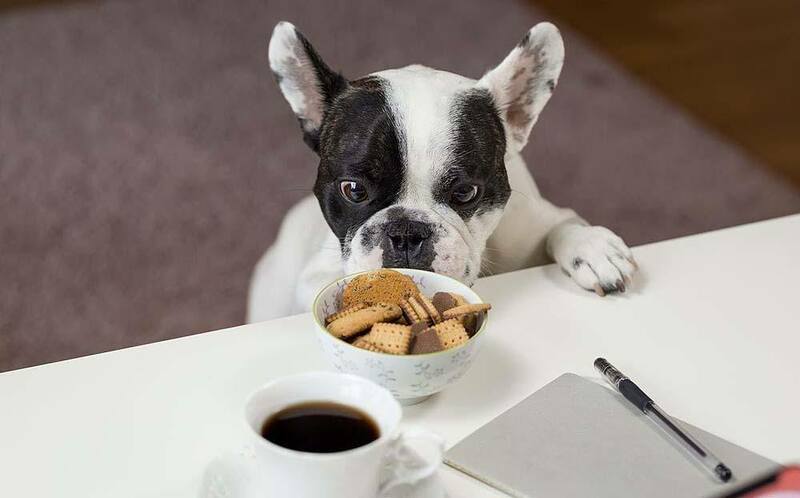 Pets love treats: You should watch how many treats you feed your dog. Treats should not be used as a substitute for their meal. Treats are an extra thing that can eat every so often, especially when they have been good. Treats are high in calories. It is going to fill your pet, but not in a good way.Check out High Value Dog Treats here. 7. Your dog needs to have his exercise: I knew this one woman who just let her dog sit around and get fat. She left him outside and he just sat there. She did not play with him. It was pretty scary. You need to get your dog into the habit of exercising. It is great for the digestion, and it helps to regulate their body weight. Meats are good because they provide the protein and fat that a dog needs. Chicken can be the healthiest food to feed your dog because it's high in protein and it isn't too high in fat, but has enough to keep your dog healthy. Other foods such as vegetables, eggs, dairy, and grains can be included in the diet in small amounts. Fruit is good to use as a snack or treat. As long as you have mostly protein and fat in your dog's diet, you are on the right track. Commercial dog food can sometimes be controversial because they have such a large amount of grains, which means they have a large amount of carbohydrates. Even grain-free foods can sometimes have a lot of carbohydrates. Manufacturers use high-quality pictures of happy dogs and suggestive phrases such as organic, non-GMO, grass-fed, gluten-free, and more to give you the impression that their brand is the best. While these terms aren't bad, they don't mean that the food is balanced and provides the proper nutrition for your dog. You must always read the labels and ingredients lists to ensure that the food has what your dog needs. A meat should be the first ingredient in the list. If the first ingredient is corn, then it probably isn't a high-quality food. You also want to buy foods with the AAFCO (Association of American Feed Control Officials) statement on the bag because this means that these foods are guaranteed to have the nutritional content your dog needs. Pets deal with the same age issues we do. Your dog's metabolism is going to slow down as he or she ages. Your dog might not be able to eat the same food they did when they were younger. Talk to your vet about what he or she recommends as your dog gets older. It might be time for something called the "senior diet." It is similar to how adults change their food habits, but it is for dogs. Dogs have a certain nutritional need that mimics humans in what they need, but is completely different in how much they need. No matter if you feed them a homemade diet or a commercial diet, they should have a high amount of fat and a moderate amount of protein. By following these guidelines, you can be sure to make the right choices for your four-legged loved one.